This is an extremely impressive trilobite fossil. It is a fabulous Drotops megalomanicus from the Devonian of Morocco. This trilobite was meticulously prepared in the EXTINCTIONS Prep Lab here in Colorado. This outstretched trilobite is extremely 3-dimensional and exhibits extraordinary detail. The thick-shelled exoskeleton is covered with hundreds of coarse pustules, and the individual lenses of the large compound eyes are easily seen. The well articulated bug has gorgeous color and contrast and is beautifully displayed on the large, sculpted block of dense limestone. 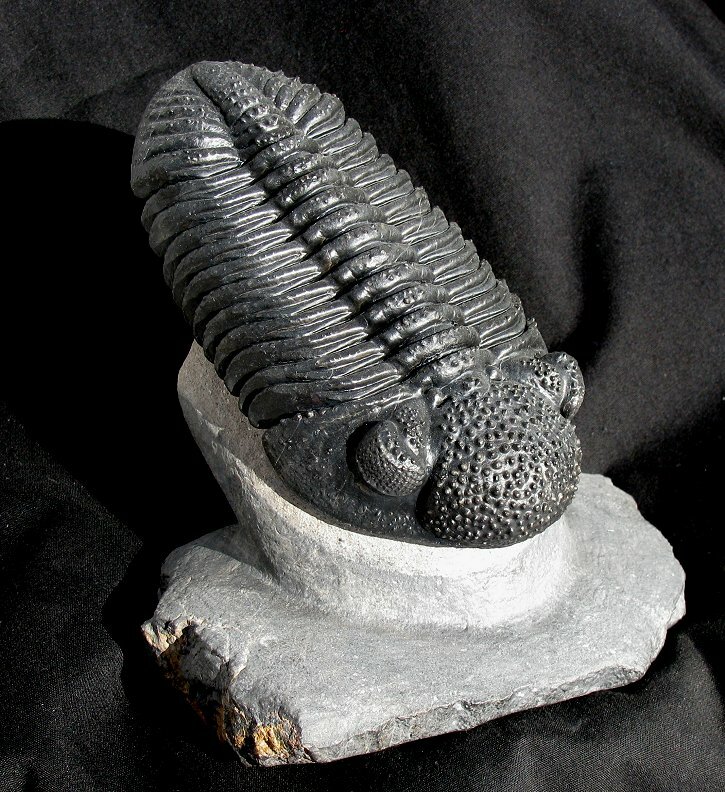 The back third of the trilobite has been prepared free of matrix, which makes this specimen one of the most displayable examples we've ever seen. This is a top quality Drotops megalomanicus that just happens to look like a million bucks!